inhabitants. Our capital city is Helsinki. The host town, Vaasa is situated on the Finnish west coast. Vaasa is the regional capital and has 57.000 inhabitants. airport to the city centre. Weekdays 8 trains arrives from Helsinki to city centre. 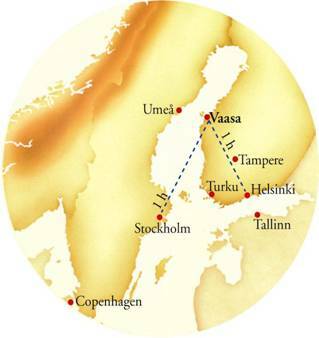 The train travel takes about 5 hours from Helsinki to Vaasa. 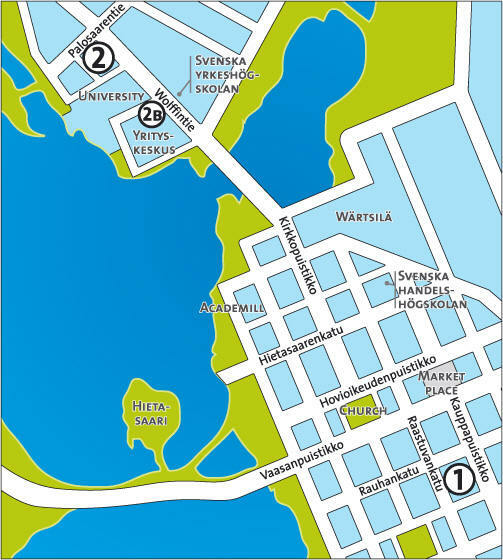 In Vaasa everything is within walking distance! The conference organizers have reserved accommodation at Sokos hotel Vaakuna (city center, walking distance to the conference venue) at special prices for the conference participants. All hotel reservations should be made on the registration form ( REGISTRATION LINK ) . All hotel fees are payable directly to the hotel upon departure. All cancellations or possible changes should be made in writing to Bothnia Congress. "Noshows" will be charged the full amount.